Travel is almost always a great way to have a fun time and see a new part of the world, and when you have the privilege of doing it in a recreational vehicle, you get to enjoy an especially neat experience. Roughing it can be great, but it’s really not always the most practical choice in the entire world. Sometimes we have a true love for the outdoors — but maybe we’ve got a pretty big family to bring along, or we’re not as young as we used to be. For a lot of reasons, owning an RV can be a great way to connect with nature in a more practical manner. They’re not the most inexpensive things in the world, though, and taking your RV out on a big trip can often have a pretty big price tag that goes along with it. We’ll talk about five ways to save some good money when you go out in your motorhome so that your next trip doesn’t have to put you in the red. 1. Eat Out Less. If you’re going to head out in your motorhome for an extended vacation, try to limit the amount of prepared food that you go out and buy. Get your food from grocery stores, so you can get more of it for less money. Bring as much of your own food as you can, as well. You might not realize how much it costs to eat out on the regular, and by avoiding it you can trim a lot of money off your trip. 2. Find Free Stays. For those that look hard enough, there are a ton of free or nearly free places where you can park your motorhome or RV for the night. What’s great about traveling this way is that you’re guaranteed shelter, provided you can find a place to put it for the duration of the evening. You can save a ton of money if you do your due diligence before you leave and find places that will let you park overnight for free. 3. Avoid Unnecessary Hookups. When you’re traveling with your motorhome, a lot of places offer a variety of hookups that you can pay for if you want them. Avoid the ones you don’t need — wait until the next night to recharge your power if you think you can make it. By opting out of the things that aren’t absolutely necessary, you can save some money on your trip. 4. Travel in the Off-Season. Everyone loves to travel during the summer — maybe you can save some money by dodging the crowd and traveling at a time of year that’s a bit less popular. If you book your trips during the off-season you’ll get to enjoy discounts and lowered prices, as well as the fact that you’ll have much smaller crowds to deal with. 5. Inflate Your Tires Properly. One of the easiest ways to save some money on your trip is by keeping your tires properly inflated. 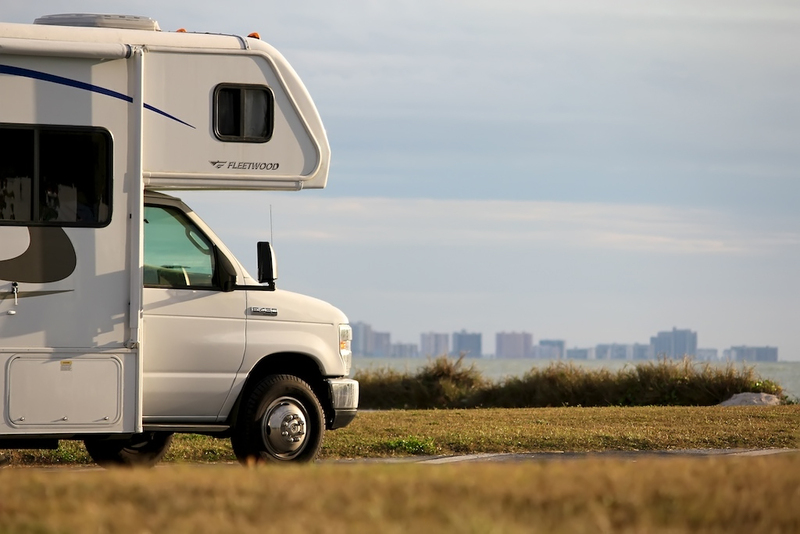 This applies to class C motor homes and beyond — just about any type of car will actually get better gas mileage with its tires inflated properly. Make sure you take care of this, and you can save serious money on your gas bill.